Finding a good pair of true wireless earbuds is ultimately a balancing act. You don’t want to end up getting poor sync issues, but you also don’t want to pay for a bunch of features that you don’t care about. The idea is to find a nice middle point between those two extremes. Luckily, finding that middle point isn’t that tough to do. Especially if you have a general sense of the sort of headphones that you’re dealing with in the first place. For example, athletic earbuds aren’t that tough to find, and it’s often easy to predict the kind of features that athletic earbuds tend to bring to the table. But when you start expecting specific features or specific levels of performance, that’s when things get a bit trickery. For people who are trying to find some kind of middle-ground in the space of athletic headphones, the Ablegrid Pyxis are actually quite interesting. These headphones were made to provide a number of common sense features that are supposed to help make your life a little easier. But they also manage to deliver on a steady level of audio quality that’s easy to appreciate for people shopping around this price range. And striking that balance isn’t always easy. 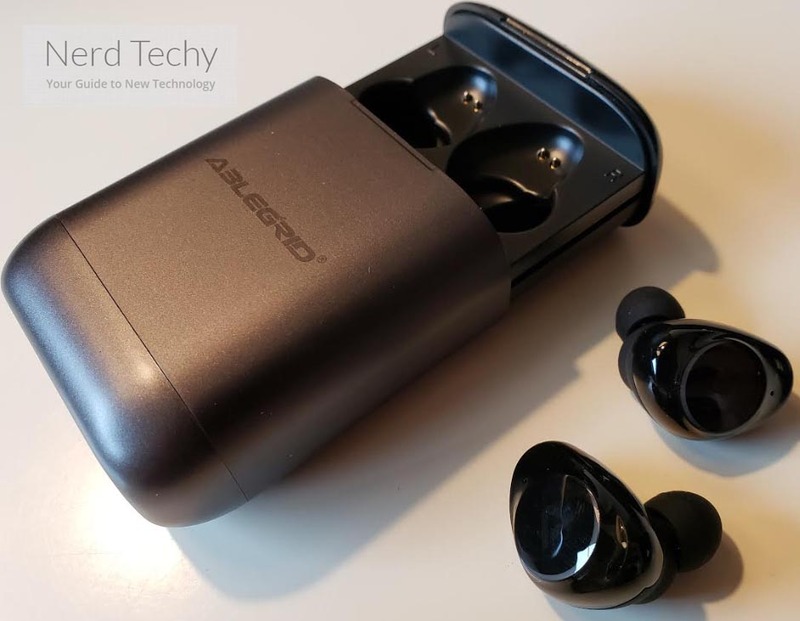 The Ablegrid Pyxis True Wireless Earbuds were partially intended to be used in an athletic capacity. But if you look deeper, it’s clear to see they’re also intended to be a professional-oriented multipurpose device. In other words, they’re supposed to be versatile and are supposed to be able to take on a number of different listening scenarios. That includes day-to-day use for exploring cities, going to work, or sitting at home and watching movies. Of course, there is no such thing as the perfect pair of earbuds, and that’s quite clear with the Pyxis True Wireless Earbuds. Someone who’s looking to prioritize battery lifespan will probably be nothing short of disappointed in these earbuds. But for people who have a good idea of what they’re getting into, these earbuds do fill a large niche that’s sometimes tough to find. 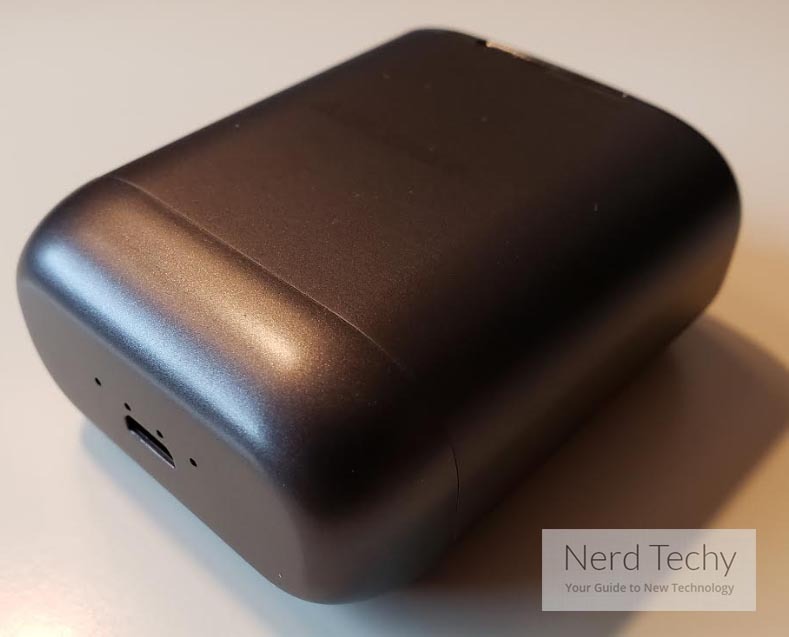 The Pyxis’ charging case measures 3.7 x 2.1 x 0.7 inches. That’s pretty small and compact, though still about average when compared to any number of similar earbud charging cases. But that’s not to say this charging case is totally average. In fact, there’s more than a couple of neat things about it. For starters, the earbuds pop-out in a tray that’s slide out of the chassis, and then slides back in when you’re done using the earbuds. It’s a pretty cool design because unlike many charging cases, it doesn’t rely on some kind of hinge mechanism. The hinges on these charging cases tend to wear down easily, and may even start causing sounds to occur after a having been used a few too many times. By contrast, this design is a bit more secure and should be generally longer-lasting. Another thing that adds to the longevity of these earbuds is their waterproof rating. More specifically, these earbuds make use of an IPX5 waterproof certification. That basically means the earbuds won’t have an issue if it starts raining, or if you start sweating on them. But the IPX5 rating is actually pretty low in the grand scheme of things. You wouldn’t want to take these earbuds and leap into a pool. But they can be quite useful for yoga, gym, fitness, traveling, running, and so forth. They just won’t handle submersion. 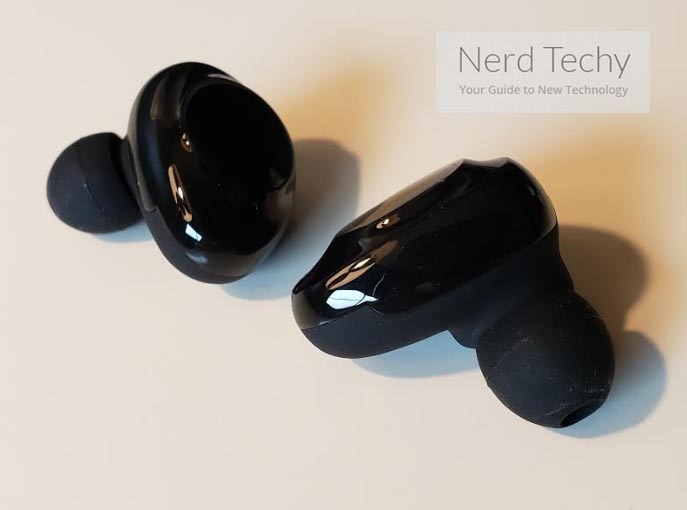 With respect to their audio quality, the Pyxis True Wireless Earbuds do a couple of things right, and a couple of things wrong. One thing they do right is make use of modern Bluetooth 5 connectivity. That provides a couple of really important advantages in relation to the sync between each earbud. It’s pretty annoying when your earbuds lose sync with each other, or with the video that you’re watching. So having solid sync ensured between the earbuds can be pretty nice. Bluetooth makes a lot of things convenient, actually. From the moment you pop these earbuds out of the case, they’ll automatically sync with each other. And then they’ll sync up with the device that you last had them synced with. That way, you can pretty much just remove them from the case and start listening at a moment’s notice. Conveniences aside, once you’re enjoying some music, these earbuds end up sounding pretty good, especially in the treble range. Earbuds like this almost unanimously struggle to deliver strong bass tones, especially when they’re not using some kind of special design specifically for that purpose. Sadly, these earbuds aren’t really an exception to the rule when it comes to bass. Pyxis went ahead and boosted their bass quite a bit, but due to some engineering limitations, the bass section ends up sounding almost any other pair of athletic oriented earbuds on the market. That’s not really something to complain about, though. Each earbud is constructed with 40mAh lithium-ion cell. That’s supposed to provide about four hours of playtime. Will you end up reaching four hours? It partially depends on how you listen to your music. If you’re the type of person who likes to crank their volume to the maximum setting, then you probably will end up getting closer to 3 hours. If you’re someone listening at modest levels, the four-hour estimate isn’t bad. It might even be an underestimate if you also take the occasional call on your headset. Okay, you’ve listened to your music for a couple hours and it is time to recharge. With an empty battery, you’ll find charging the earbuds from empty takes about an hour. It takes a little bit less if the battery wasn’t quite all the way drained. But in either case, that’s pretty speedy. The charging case is basically ten times larger than each individual earbud; it was made with a battery that’s sitting around 400mAh. But since you’re dividing that charge between the buds, you can pull about three or four charges from the case before draining it entirely. After you’ve emptied the case, charging it back up takes about 90 minutes. 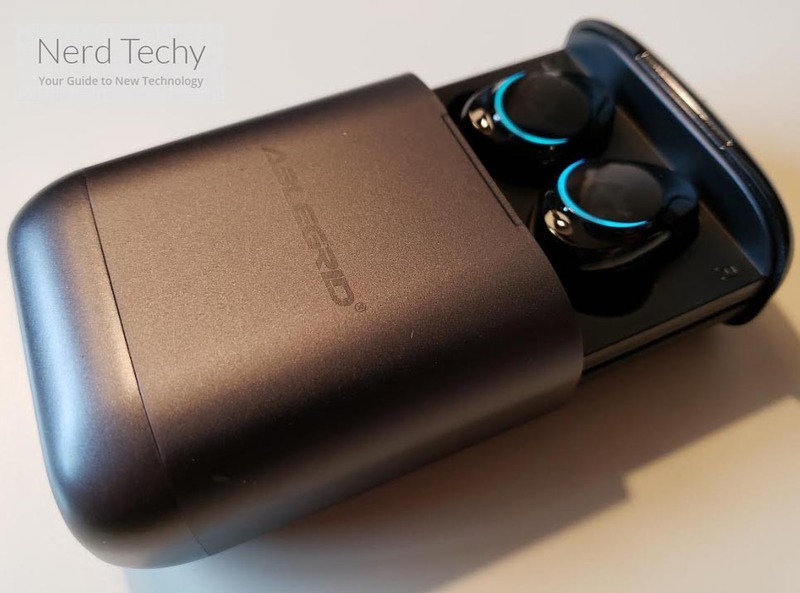 ABLEGRID Pyxis True Wireless Earbuds were constructed alongside a fairly run of the mill microphone. It’s the kind of voice-friendly mic you’ll see stuffed inside countless similar Bluetooth devices. Even though the microphone itself isn’t anything too special, it actually performs much better than your average Bluetooth mic. That’s because it’s been supported by CVC 6.0 noise cancelling algorithms. When you’re taking calls, that feature basically makes your voice sound like it has a pleasant and steady ambient noise behind it. It’s a professional audio effect that you may be familiar with from interacting with people in call centers. Used properly, it’s pretty good at eliminating around 25dB of noise around your voice. 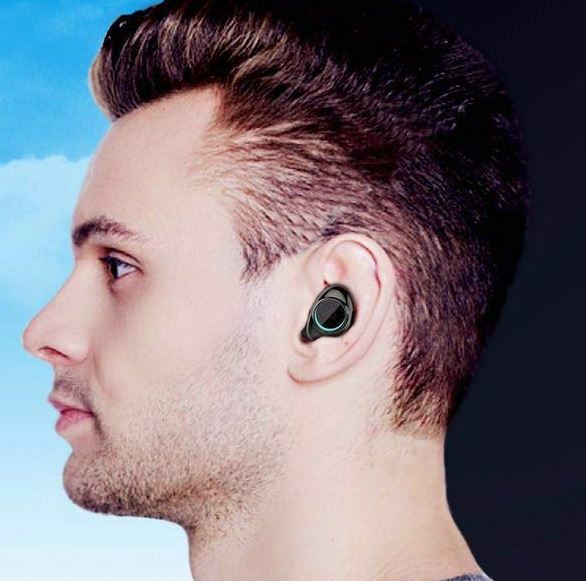 But one place where you might have some small complaints is that these earbuds don’t deliver anything special when it comes to voice features. If you’re someone who’s constantly accessing a smartphone voice assistant, having native support for those features can be a real time saver. 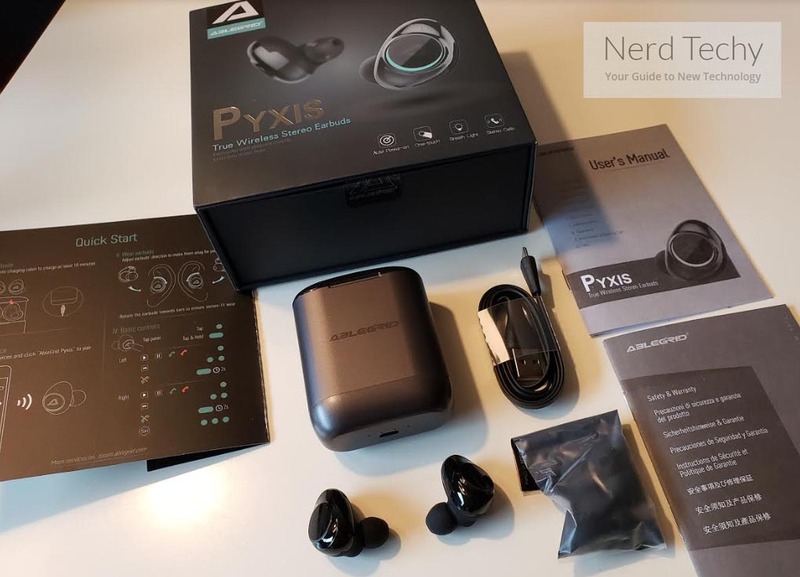 It’s still possible to get headphones like the Pyxis True Wireless to work with voice assistants, it just takes a bit more doing. ABLEGRID Pyxis True Wireless Earbuds include two sets of silicone ear tips in three different sizes. Those include small, medium, and large tips. That’s pretty much all you need to ensure a reasonably secure and comfortable fit with earbuds, especially when the included tips are made from reasonably high quality silicone. In this case you’ll find the silicone is pretty comfortable against your skin, even when it’s got to push tightly to fit. Unfortunately, the Ablegrid Pyxis Earbuds do not include memory foam ear tips. 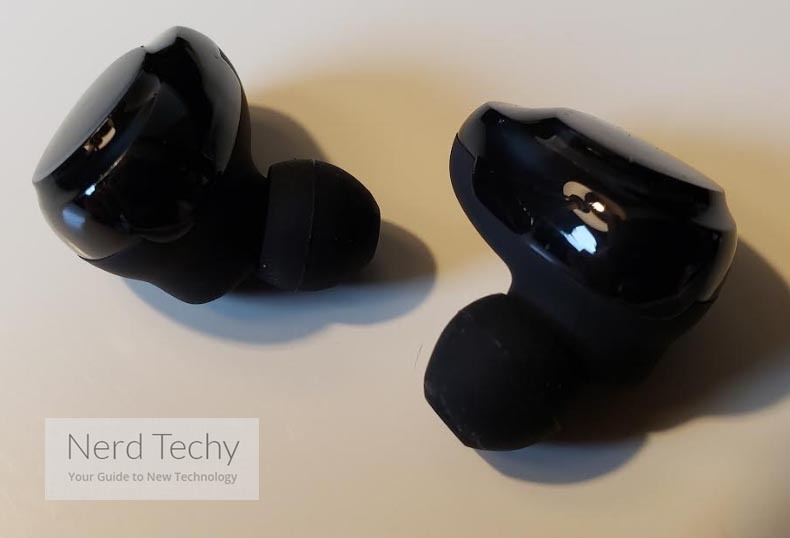 Those can be handy for enhancing noise isolation, and can be especially useful for headphones that do not have their own ANC features, like these earbuds. But unless you’re listening to your music in environments that are extremely loud, or you’re someone who’s particularly bothered by noise, these types of things are usually something people can do without. It’s usually a small hassle having to swap between different types of ear-tips, anyway. As mentioned earlier, Bluetooth 5 brings a lot of benefits to the table. There’s a one-step pairing process that’s the result of upgraded audio chips, and Pyxis allows you to get smooth connectivity through a generally smarter pairing process. But one place where the Bluetooth won’t impress you is its 33ft limitation. However, that’s pretty average for earbuds like this. Pyxis True Wireless Earbuds include two sets of silicone ear tips, a USB charging cable, and the charging case. They also include a one-year warranty. If you used these earbuds regularly, and you took care of them, it’s plausible they could last three or four years. But for people who aren’t taking great care of their equipment, an 18-month estimate isn’t really that far off. Which is actually pretty good considering the relatively inexpensive nature of these earbuds. 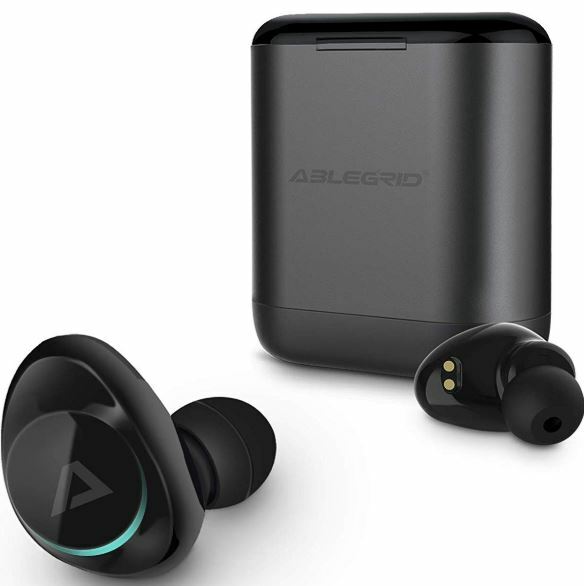 Who Should Choose ABLEGRID Pyxis True Wireless Earbuds? These earbuds were not made for someone who plans on using them exclusively for athletics. They’re more multi-purpose than that. You’re supposed to use these for traveling, jogging, watching movies, and enjoying music at home. You’re also supposed to be using these earbuds for their calling features. If you could care less about calling, then you could easily save a couple of bucks by finding similar earbuds without the cool noise cancellation feature. But if you do actually take a few calls, it’s nice to have because it really helps make these earbuds more versatile. 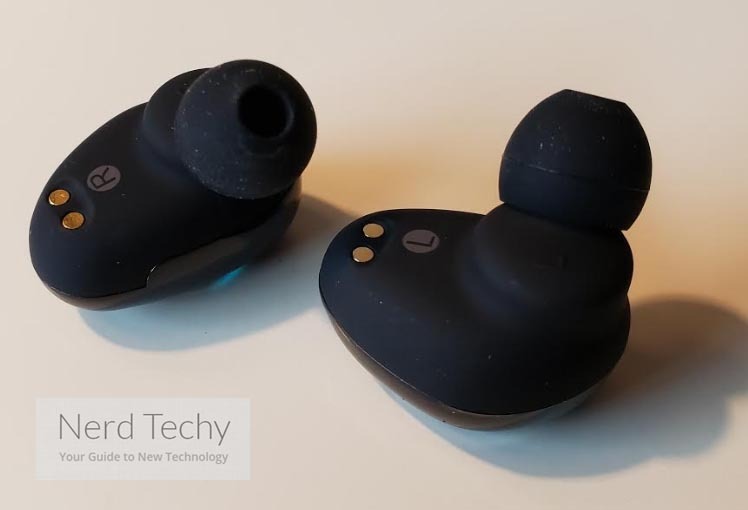 Which makes the Pyxis True Wireless Earbuds are a pretty good choice for someone who’s looking for earbuds that can deliver on a strong sync, strong microphone performance, and a generally strong value.